The following is a guest post about making payments online. If interested in submitting a guest post please read my guest post policy and then contact me. Online payments are growing more popular all of the time; you can now pay online for almost anything that you can think of, such as your water bill, your gas bill or your electric bill. You can even make your mortgage payments without ever writing a check. Since everything else related to your home can be done this way, it only makes sense that you would also be able to pay off your insurance premiums online. There are a few key things to know if you are thinking about doing this, and you can also click here to learn more. 1. You can pay with multiple payment methods. You are not limited when you pay online. If you want to use your debit card so that the money comes out of your account just like it would if you used a check, you can. On top of that, you can link your bank account directly and pull the money out that way. If you’d rather put the payment on your credit card and then pay that card off at the end of the month, you can do that as well. The options are open to you, making it easier than it has ever been to get the money in when it’s due. 2. You can pay on the last day. One of the biggest things that people enjoy about online payments is that you can pay at the last minute and still get the money in on time. Online payments are instant whereas checks have to spend a few days in the mail. With the electronic option, you do not have to worry about voiding your policy or incurring a fee just because you forgot to mail in the check on time. Even if you only have a few minutes left, you can schedule that payment and be good to go. 3. You get the same frequency options that you always did. Paying online also does not have to change how often you pay. If you like paying once a year because you want to save the most overall, you can do it. If you want to pay every month so that the payments are small individually, you can do that too. You get all of the same options that you enjoyed when you were paying with checks, at the same rates, making this an ideal solution. I haven’t tried to pay my insurance through online, usually I paid my bills, debts and make a transfer to another bank account. 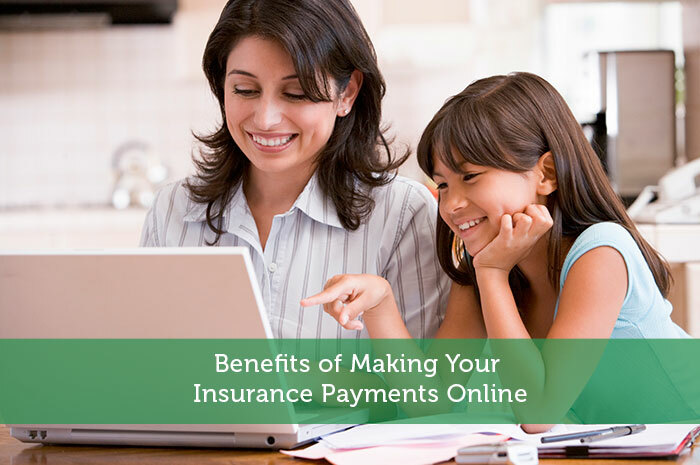 Paying your insurance online would definitely save your time. I try to pay as much as possible online. It makes it so much simpler and I don’t have to waste paper and a stamp! Paying insurance online sounds great! It can save more time and you don’t have to struggle with all the papers for signing up and stamps. Thanks for sharing. Would love to try paying my insurance, online. I like paying my insurance premium online because that means I can use my credit card and earn points. Now, if I could just pay my mortgage online too with my credit card, I’d be all set. According to comScore, the company who publish Online Auto Shopping Report, an estimated 3.1 million Americans bought auto online insurance in 2011 and nearly 70% of online shoppers surveyed asked for auto online insurance quotes in 2011.